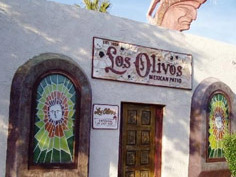 Come join the APWA-MN Chapter for our 2015 Congress Chapter Dinner at Los Olivos in Old Town Scottsdale on Tuesday, September 1. Old Town Scottsdale is a shining example of why Scottsdale is the “West’s Most Western Town.” With original buildings from the late 1800s to the early 1900s, this block is where Scottsdale was founded. From the first general store (now Bischoff’s Shades of the West) to Scottsdale’s first bank (now the Rusty Spur), history buffs, shoppers, and bar hoppers alike will fall in love with Old Town’s charm. When in Rome….So when in Arizona we searched for great southwestern food! That brought us to authentic Mexican food at Los Olivos. Fajitas, enchiladas, beans, rice, chips etc. (did I say Margaritas?) prepared by second and third generations of the Corral Family. This family has brought Los Olivos from a little adobe eating spot to its present—critically acclaimed dining establishment in Scottsdale, Arizona. These talented family members have worked together for years. An uncle designed and hand-crafted the unique Spanish style chandeliers, cousins enthusiastically greet you and wait on tables, daughters keep the books, sons tend bar and serve your favorite margaritas, and an old friend from Mexico still rolls tortillas fresh every day in the kitchen. The Corral Family is proud of their tradition of good food, a warm and friendly atmosphere, and of being able to contribute to the history and heritage of Scottsdale for 61 years. Old Town Scottsdale is about 30 minutes away from the conference (located at 7328 E 2nd St., Scottsdale, AZ 85251). The chapter will be providing roundtrip coach bus service. Bus leaves the Hyatt off of the Monroe Street side at 5:30 p.m. and will leave Los Olivos for a return trip at at 10 p.m. Folks are encouraged to check out other entertainment venues in this charming part of town. Please join us for a true southwestern cuisine experience and stay to do some exploring! Please R.S.V.P. by July 31 by filling out this form (pdf) and mailing it to Pat Schutrop, Chapter Assistant, with your payment of $35 per person. Checks should be made payable to APWA-MN Chapter.